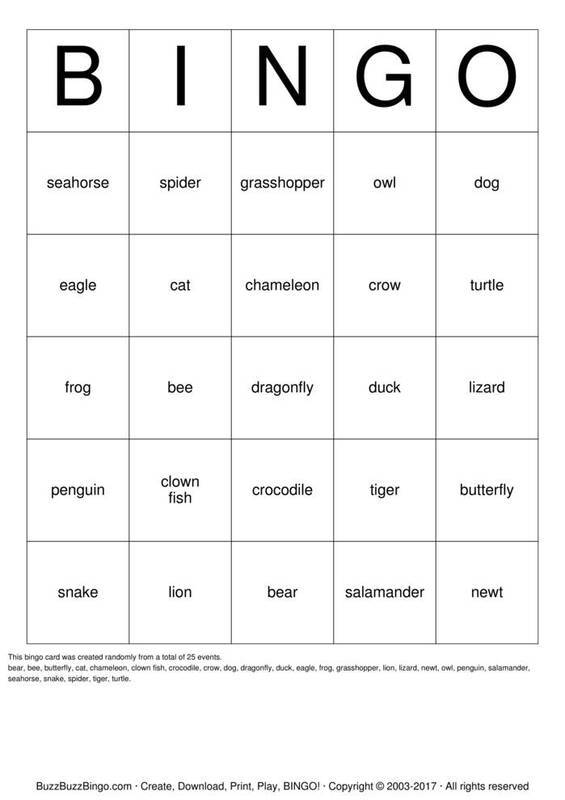 Animal Classification BINGO Bingo Cards to Download, Print and Customize! Would you rather download and print or customize Animal Classification BINGO Bingo? Otherwise, hide this text and have fun. Good luck getting BINGO! bear, bee, butterfly, cat, chameleon, clown fish, crocodile, crow, dog, dragonfly, duck, eagle, frog, grasshopper, lion, lizard, newt, owl, penguin, salamander, seahorse, snake, spider, tiger, turtle.